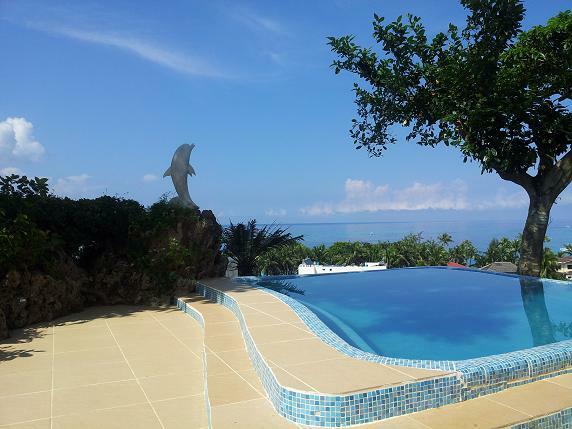 A spectacular, large private Villa on a cliff top, with panoramic views of Boracay's famous White Beach and Island and also with views of the Philippine sea to the West, and the Sibuyan Sea on the East It has direct access to main island road and also has its own private shortcut down to the main white beach, and is one of Boracay's most luxurious private Villas and Swimming Pool. Designed and constructed by a world famous International Architect, the architectural style of the villa is contemporary tropical with a touch of native design elements, there are eight pavilions surrounding an internal tropical garden, so that it blends into the original tropical design of the region. 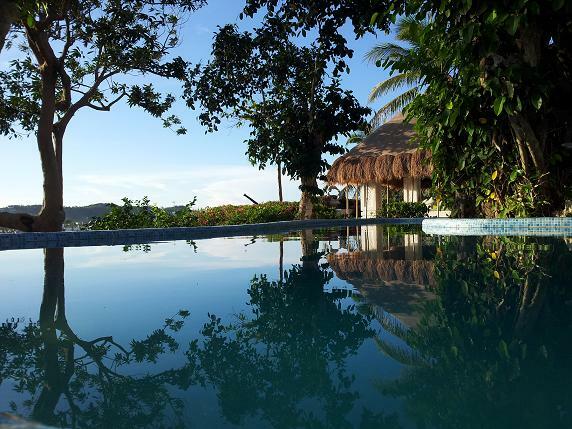 The huge daytime living pavilion has panoramic views of Boracay's Main White Beach and also Northern Boracay and Carabao Island and is ideal for parties, entertaining, relaxing, and yoga classes etc. 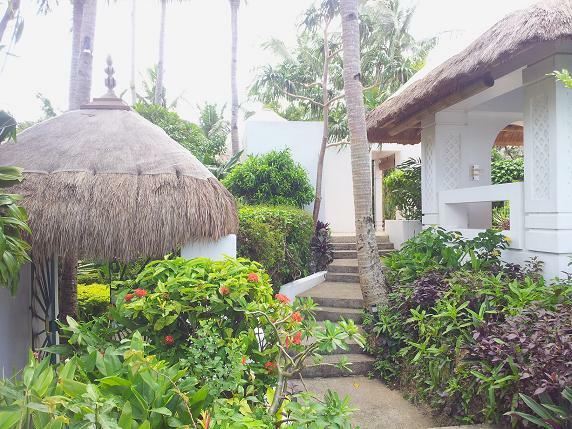 This beautiful estate is nestled on a 3,816 square meter lot, and composed of 8 villas.The villas master bedroom suite is within its own pavilion and is probably the largest bedroom in Boracay! Featuring super king size bed with full ocean view, contained in a large four post bed enclosure, with private terraces and garden. 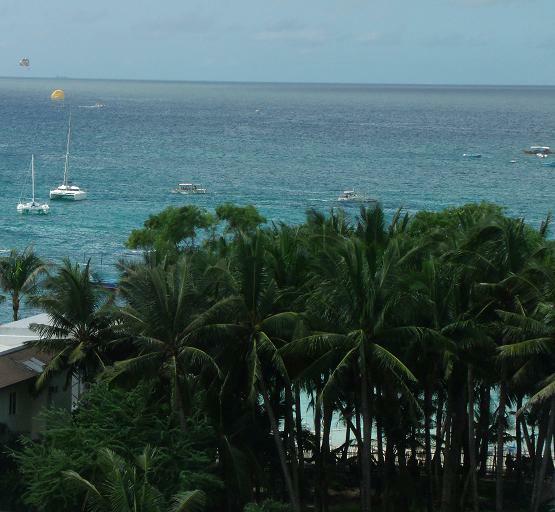 The master bedroom view is directly over Boracay's Main White Beach and the mooring area of visiting Boracay yachts and Super Yachts. 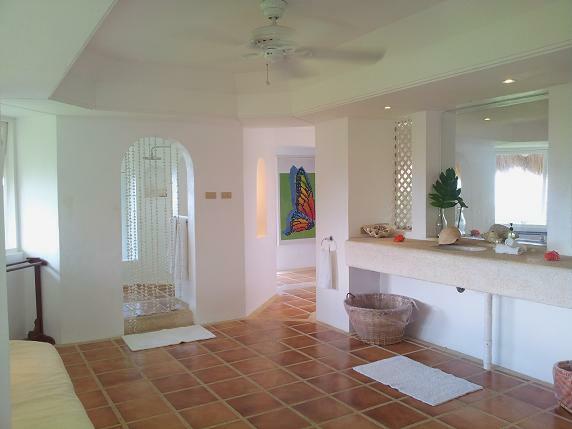 The master suite bathroom features a large walk in shower with its own internal tropical garden, sitting area, large vanity and separate toilet, and large walk in closet. 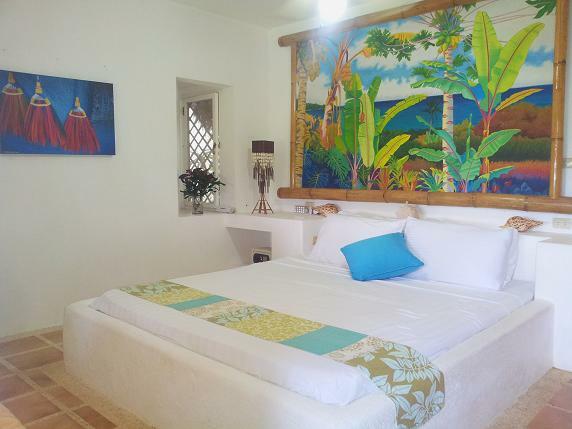 The villa also features three additional private bedrooms and an apartment, each having it, sown tropical character, and ideal for a large family or many guests. The kitchen is modern western style, with a breakfast bar, and separate food pantry and large equipment storage areas. Villas are spacious, featuring classic Filipino-inspired decor. Amenities include air conditioning, a minibar, a living area with a flat-screen TV and a private bathroom. 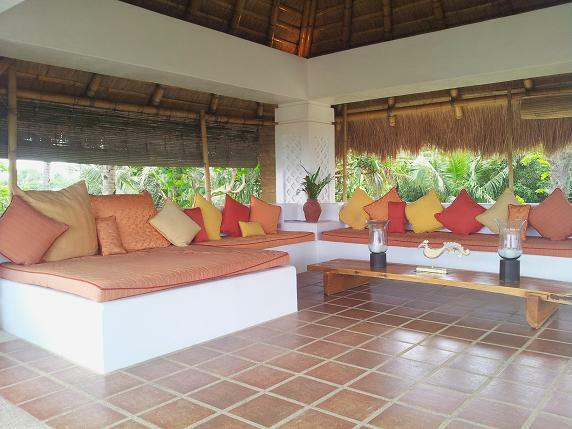 All rooms have either a private balcony or a terrace. 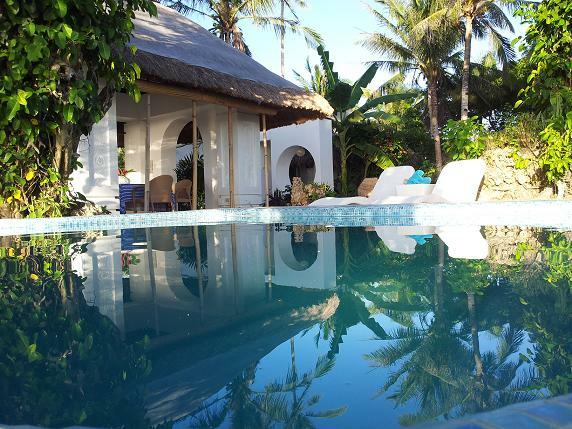 The warm and friendly staff at the Villa can arrange for various water-sport activities including snorkeling, canoeing and windsurfing to be enjoyed at the beach. Airport shuttle services can be arranged at a surcharge. Packed lunches and grocery deliveries are available upon request. In-room dining options are also possible. 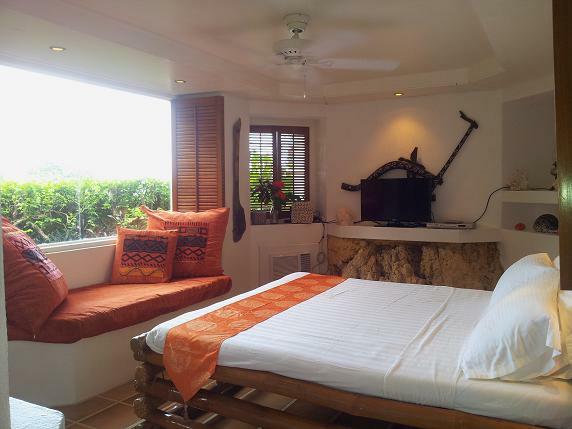 Situated on the beautiful island of Boracay just a 5-minute walk from the famous Boracay White Beach.